Create a new database called Films (or use an existing database if you prefer). 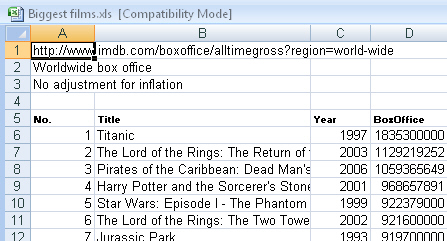 In design view, change the data type of the Year and BoxOffice fields to make them Long Integer (whole numbers) rather than Double (any numbers). Close down your table and database, saving any changes.